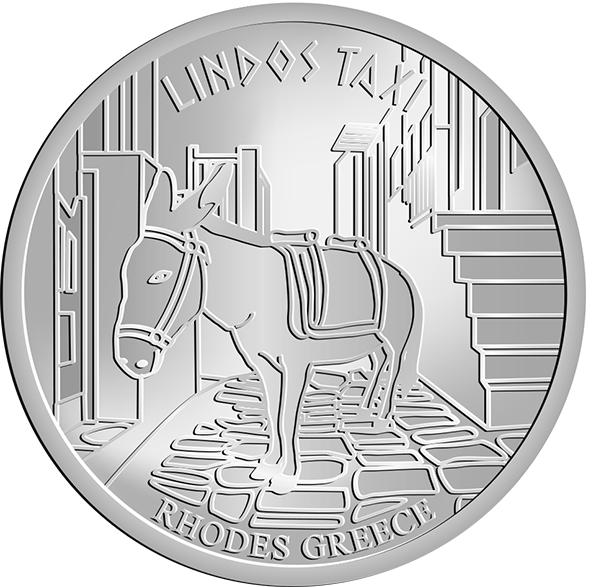 One of the first things you see as you enter the narrow walkways of Lindos is the donkey station. For many years donkeys have provided one way to ascend the steep path to the Acropolis.For those who don’t relish the idea of climbing the stepped path out of the town donkeys provide a unique way to make the trip. As you can imagine the pack animals make the journey several times a day so need some encouragement from their handler on the way up. Not so coming down, as the donkeys know that food and water await at the bottom. The helter-skelter journey down the hill gets even more hair-raising as you reach the narrow streets given the donkeys can start to smell the waiting food.